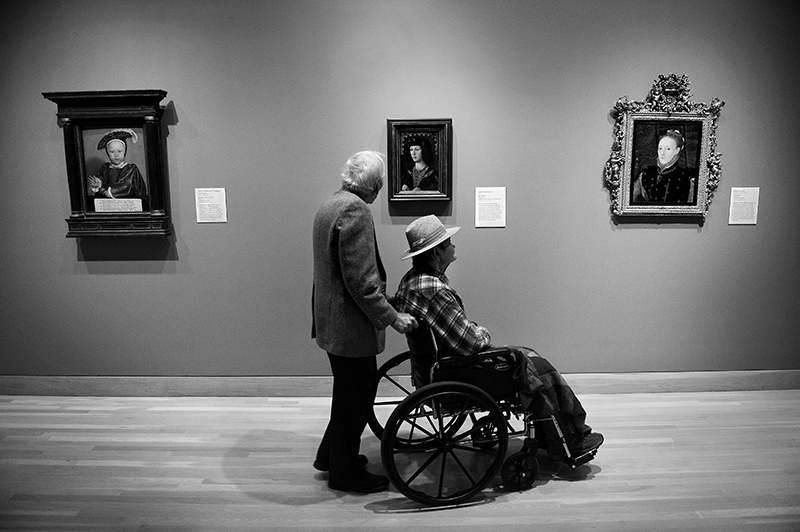 Cecil and Carl pass through the Berger Collection at the Denver Art Museum. While the couple shared many interests they also have their differences. Cecil jokes, "he preferred creamy peanut butter and I preferred crunchy. He likes the red ice creams, like cherry and strawberry, and I prefer the tans, like butter pecan and praline... It's not a big deal. I understand some couples have knock down drag out fights over this sort of thing but we just said 'live with it.'"